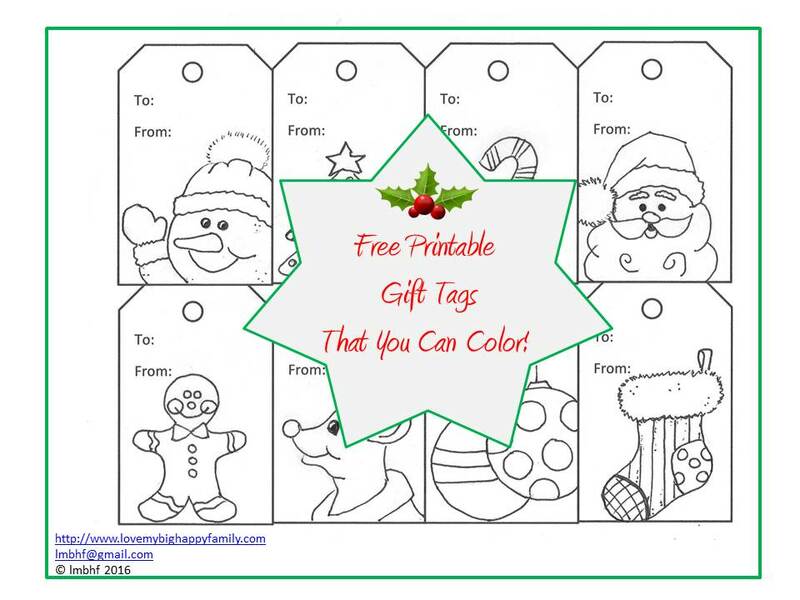 These fun gift tags are free to print and color! They are my free gift to you when you sign up for the Love My Big Happy Family Newsletter. Merry Christmas and Happy Holidays from Love My Big Happy Family!! Get Your Free Gift Tags Here!